What are the Intro, Pre Engagement and Post Engagements Tabs? Each tab is created within a type of promotion, you do not delete or add in tabs (besides the intro tab) within the design canvas. 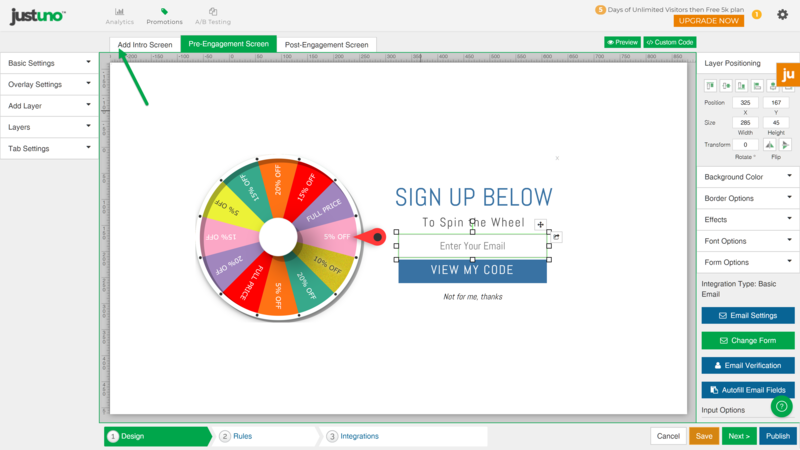 To add in a pre or post tab you must create a unlocked or locked promotion! Hit add intro tab. When the tab is added, the Yes + No buttons are automatically added. You can edit the color and look but do not delete the buttons! 1: Locked Offers: This tab is displayed after a visitor enters their email or follows a social action and is used to either display a thank you message OR display a coupon code. 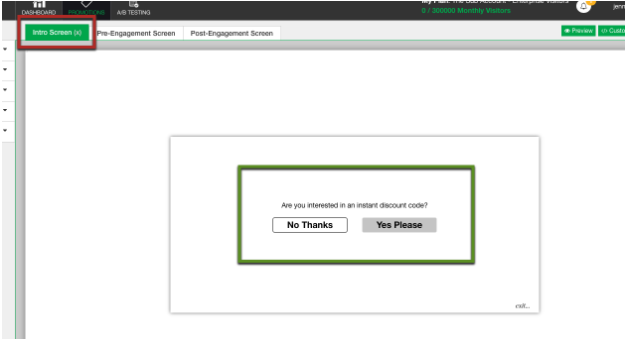 2: Unlocked Offers: If you do not use an intro tab, this is the first thing a user is shown and can be used to display a coupon code. If you are looking to collect an email or social share and want to add a pre engagement tab use this article to duplicate the promotion to a locked style.